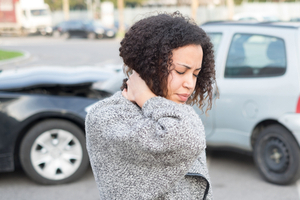 If you get into a car accident in Surfside, then it’s important that you have the best available attorneys and lawyers that are prepared to fight for your rights. Choosing who’s correct for you may be difficult, and it doesn’t help that someone who’s been an accident is constantly bombarded with letters and emails. Advertisement too does not guarantee quality, only that the lawyer in question has the budget to spend on commercials or billboards. We recommend taking the time to research your options. advertisements only show you the good stuff, which is what they want you to see. Do your research and look up reviews and ratings for the lawyers you come across. It may end up saving you from a disastrous decision. You should treat this as a job interview, with you as the boss, and they as the employee. You want to work as a team, this should not be a one-sided relationship. With the right amount of time and patience, you’ll eventually find the lawyer whose skill and record will give you confidence. Wolfson Law Firm is one of those legal teams that try to inspire. Their Miami-Dade Personal Injury Lawyers have been working for justice and fair compensation since 1963. Taking the time to look over the client reviews that they’ve received, and their most recent cases, will show you just how committed they are to their clients. With offices in Fort Lauderdale, Fort Myers, West Palm Beach, and Miami, they’re not only available live, but are more than ready to pick up the phone and talk to you. Give a call to (305) 285-1115 and speak to them right away. Voted “Most Comfortable City” by experts at Expedia, Surfside is a slice of nostalgic Americana that can’t be found in many places this day and age. Surrounded by the pristine waters of the Atlantic Ocean, and connecting easily to Miami Beach, this is a prime spot for tourism and vacation by many Americans. Surfside Beach itself is a popular area to see sea-turtle eggs hatch and watch them make their way into the ocean. All this tourism year-round can lead to heavy traffic, not to mention the regular folks that call Surfside their home needs to get to and from work every day. Getting into a car accident can be an ordeal, and you may be seriously injured or lose a loved one in the process. Whatever the cause the minutia of the incident is not going to be the first thing on your mind. You’ll want to take care of yourself, your loved ones, and you’ll eventually need to think about the possibility of hiring a lawyer. Jonah Wolfson is a bilingual South Florida accident and wrongful death attorney and he is also the manager of Wolfson Law Firm. He and his legal team are standing by for your call and would be more than happy to personally answer any questions you may have. Give them a call at (305) 285-1115 to get your free consultation today.